I just need to get more creative with the pics, but I'll add a few more comments on my stops outside of the main hubs shortly. Balaklava This is so close to Sevastopol that it might be considered a suburb and can be easily reached by public transport (with lots of assistance if you can't read Russian). Anyways, it's a nice harbor area that is a little scarred by all the old Soviet style buildings which give it a somewhat run down feeling, but it has the top secret sub base which is worth taking a look at and if you climb to the top of the ruins of the Italian fort, you are rewards with excellent views of the harbor area and coast line. Oh, don't forget the battle field for those history buffs. I did some scuba diving down near Balaklava. I never did get close to the sub base, nor did I climb up top the ruins. Your photos have made me realise I have missed out seeing much of the beauty of UA, especially the castles, I had always wanted to tour the great castles of Europe, but like you said without being able to communicate in Russian... I was screwed. Thanks for showing your pics, I really enjoyed them. OK, when I left off I was still in 2008 and had just gone to St. Petersburg & Moscow. Now I really liked this lady as she was creative and very interesting so I planned a return trip for the New Years. Well, a week before she writes that she realizes she could never leave Russia as her daughter was 12 and close to her father (very wealthy) and he would not give permission for her to leave (funny as he wanted to send her to boarding school in England). So I had to quickly change locations as my tickets were purchased, so I headed to Moscow (visited the lady I liked for a little communication) and then would reroute to Rostov-on-Don as there was a lady there I like talking chatting with, but had just written her a letter saying I would not be coming (looking back I probably should not have come as this is one I wish I could have had back, but more on that in some other thread). Rostov-on-Don I arrived at the end of December at a frozen little airport, but I was greeted with a big smile by my lady friend and was driven to my hotel (Rostov Hotel). This was the first time I stayed at a hotel in Russia where the working girls were present in the lobby (so now I know what everyone was talking about). I was them picked up by my friend as she took me on a short tour of the city were we went down to the river (completely frozen, but probably nice in warmer periods), the central park and then stopped off for a bit to eat. I was then dropped off at the hotel and would be picked up later that night for a New Years celebration at a local restaurant. It was a great night with a lot of food, entertainment, and a little to drink (if anyone gets a chance, I would recommend spending New Years at such a party as it was a lot of fun). Well, the next day we were to take the train for Sochi and it was not such a bad thing, as Rostov in the winter has the feel of an old industrial city (in other words, no good reason to stay a long time). Sochi I actually stayed at a hotel down the road in Khosta which is a little beach community that had a few really good restaurants (not fancy, just good food). Anyways, my friend in Moscow laughed when I said I was going to Sochi as she mentioned the weather is terrible there this time of year and she was correct (wind and cold rain), but that also meant that Krasyana Polyana, where the ski runs are located was getting dumped on. The problem was, the President and Prime Minister decided to go skiing on one of the same days I was there which resulted in terrible traffic getting to the slopes and then many of the runs being closed (at least the lifts were closed for periods of time) which did not make for a good skiing experience (I'll be honest and say that I did not make it onto the slopes as the first day I arrived late and the second day Mr. Putin was in town). So back to Sochi and I should say I was taking the bus between the cities, where it had a nice resort feel, some good restaurants, shopping, nice garden, and not so great beach. I'm thinking it would have been really nice during the summer and if you go for skiing, then stay at one of the small hotels in Krasyana Polyana, otherwise you'll loose too much time in transport. Related to prices, they were cheaper than at the big resorts in the USA and the terrain looked nice and steep. Now to the end of the trip, I will just mention that I realized I was on a rebound and that's why I wish I had this trip back as I feel the lady really liked me and in different circumstances I might very well have ended up with her. Last edited by wicheese on 20 Feb 2011 16:54, edited 1 time in total. When I first visited Ukraine, I doubted it had very little tourist appeal as I thought it was flat and fashioned in the manner of Soviet Industrial cities (in other words drab), with the one attraction being the different battle fields (which I think you investigated). Now after seeing the country, I realize it has a lot to offer and I would recommend someone to go visit, even if they are not chasing FSUW. Anyone for a cold swim? 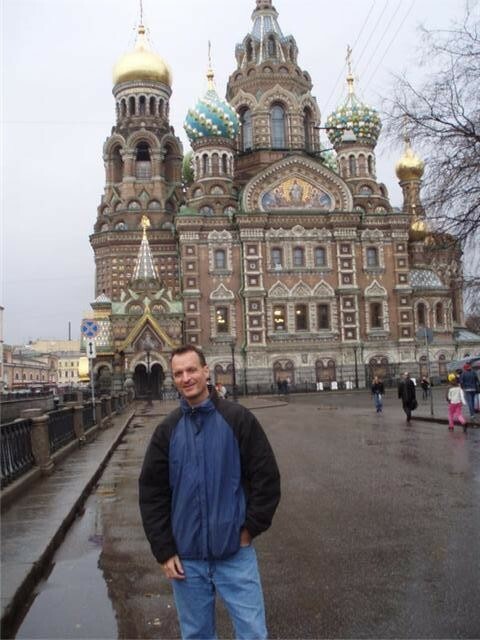 Ok, you would have thought I would have learned my lesson and been done with Russia, but on my return to the USA in early 2009 I was seated next to an attractive FSUW who was getting her PhD not too far from where I lived. So a short relationship was all I needed to remind me about why I was in the game and it was not long before I was back in the game and this time I was to go to the edge of Siberia. Chelyabinsk is an industrial city that is surround by smokestacks, polluted yes, but it's also the city where the cheese thought he found the best looking women in Russia. Just waiting for my flight to the city my head was on a swivel with all the attractive scenery and the lady I was to visit was no exception. Now unless you are seeing a lady or relatives there, I see no reason to visit as it's not easy to reach, has limited tourist sites (mostly a nice pedestrian mall area, a few good parks, and a theatre or two). I was to visit this city twice in the early part of 2009 as I was going to split my chances with a visit to Tomsk, but after that lady told me of her whipping her ex husband (ouch!) I decided to return to Chelyabinsk despite not being too sure about my FSUW there. Karabash was a side trip on my second trip to Chelyabinsk as my FSUW was driving be out to a resort close to Mias (known for it's production of trucks). The only reason why I mention it is due to the fact that it's known as one of the most polluted cities in Russia and it's truly amazing that people live in this lunar landscape (not to mention the drinking water for Chelyabinsk flows through this city. Mias is just another industrial city in the southern Urals, but what makes it worth being a destination is the fact that it's close to Lake Turgoyak which is thought to be the second clearest lake in the country. What's amazing is that it's not all that far from Karabash so you have one of the cleanest and dirty areas as neighbors (only in Russia). Now if you are in the area, be sure to make a reservation at the Fon Gran hotel as it comes with a cheesy recommendation. Yes they do have one downtown, but this is the one I remember. as Tankograd as it was a major production center of tanks during WWII. At the end of Lenin street.